This Visual Brain Teaser is to Test your Observation Skills. 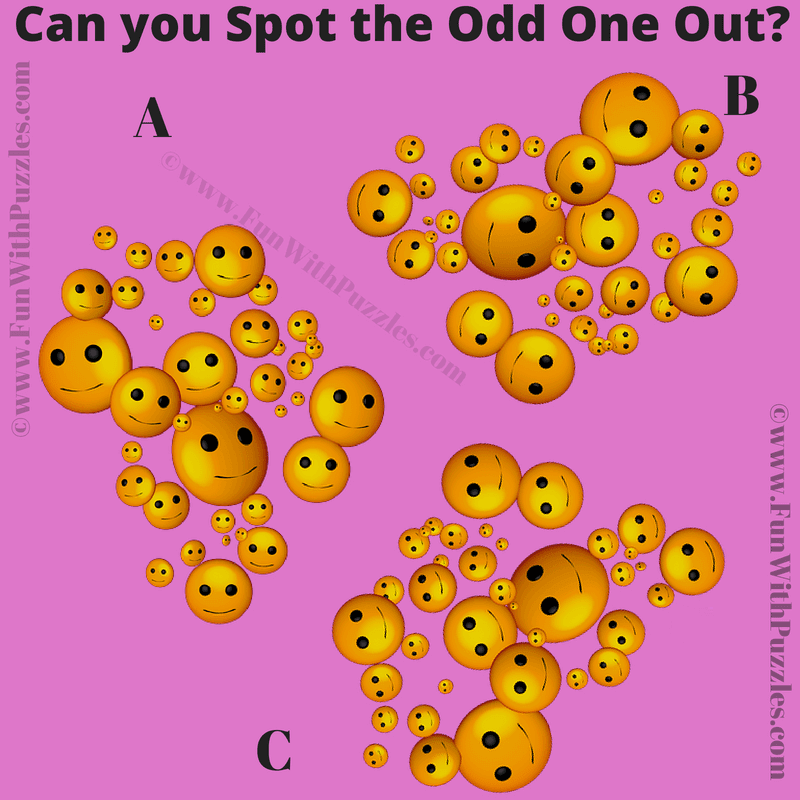 In this Picture Puzzle, there are three similar looking smiley puzzle images. Two of these puzzle images are exactly same, but one is different. 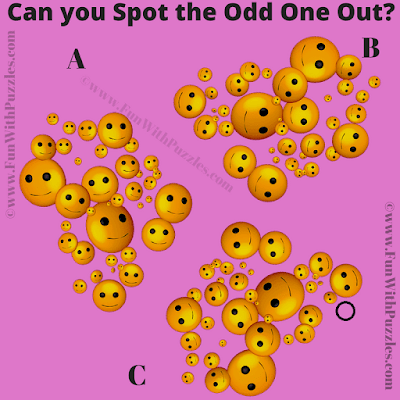 Can you find out which one is Odd One Out? Do post your answers in the comment section in case you are able to solve this Observation Test Visual Brain Teaser!